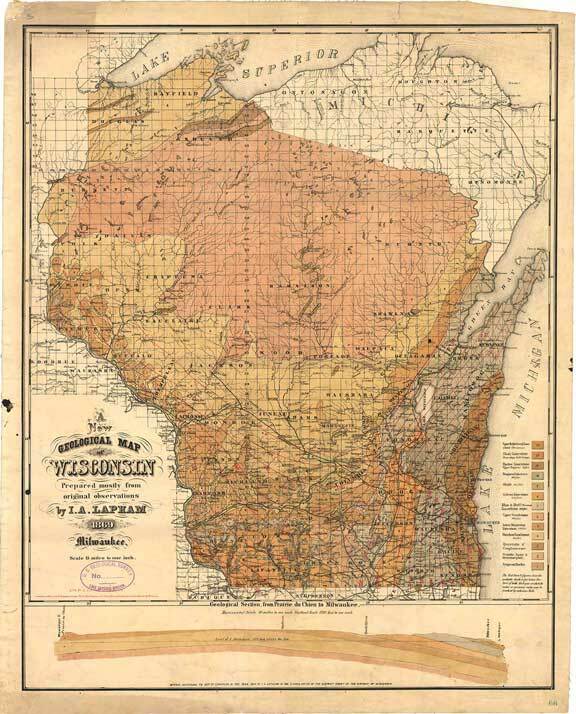 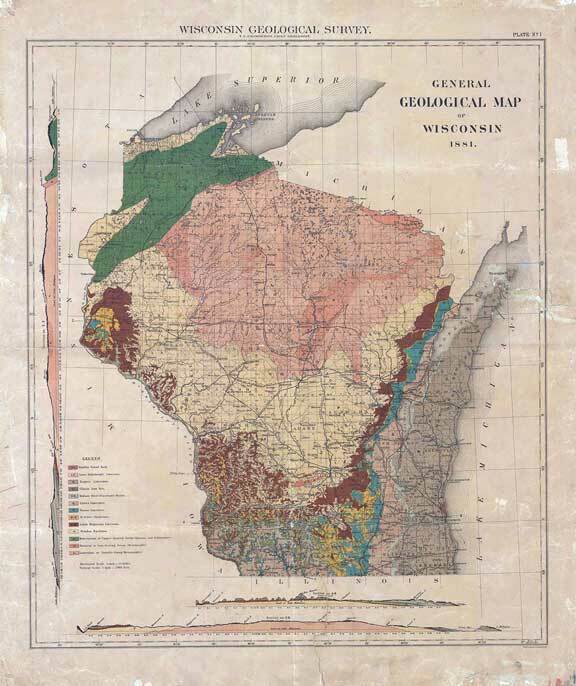 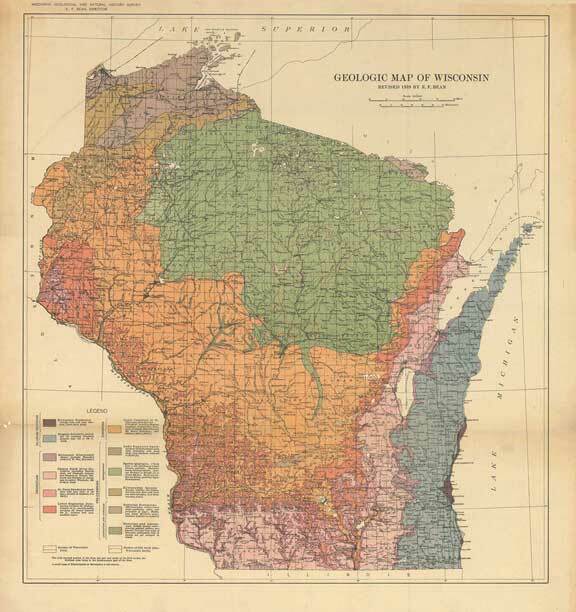 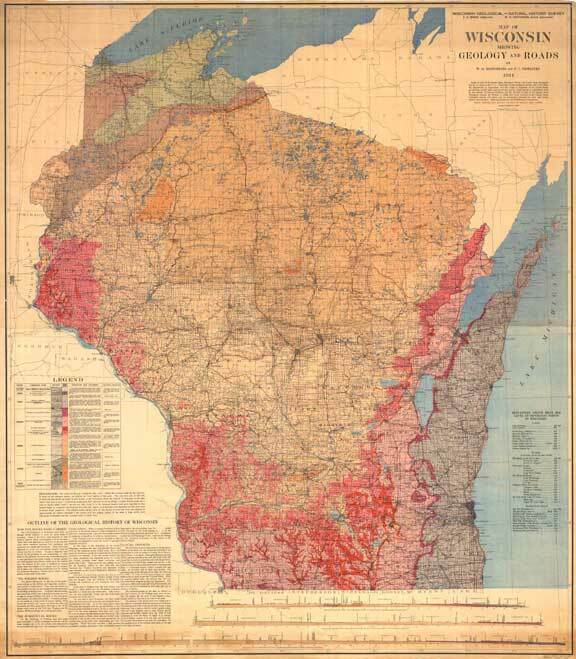 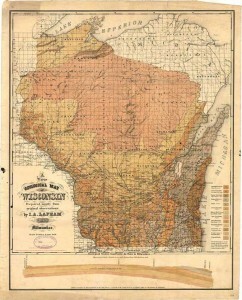 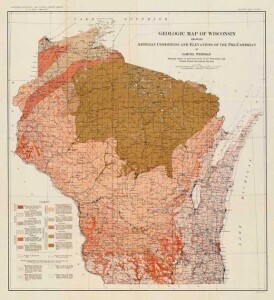 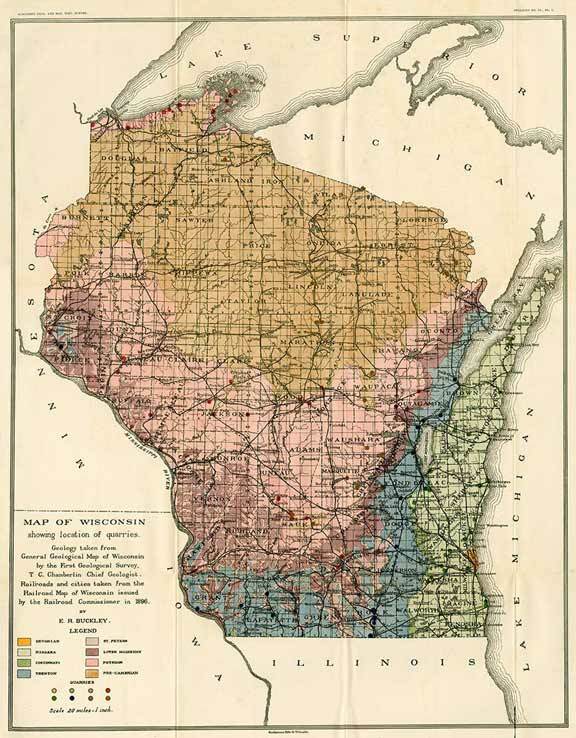 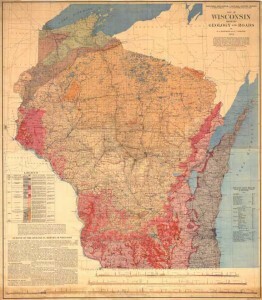 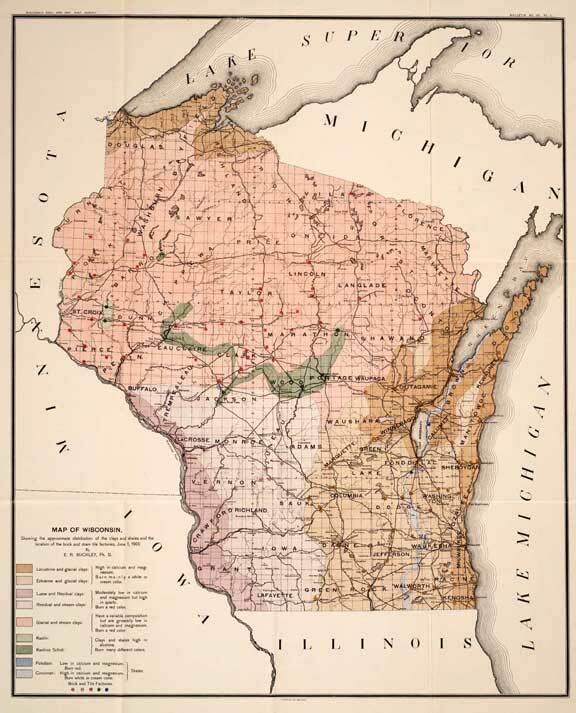 This collection shows the changing nature of Wisconsin’s bedrock geologic maps, from 1869 to today. 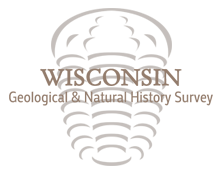 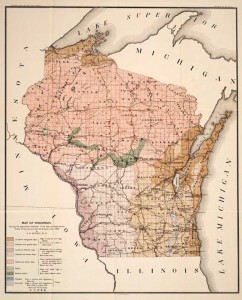 Click on the images to view a low-resolution version of the entire map or on the links in the descriptions to download full-size PDFs. Adapted from a presentation by Bruce Brown, former WGNHS geologist. 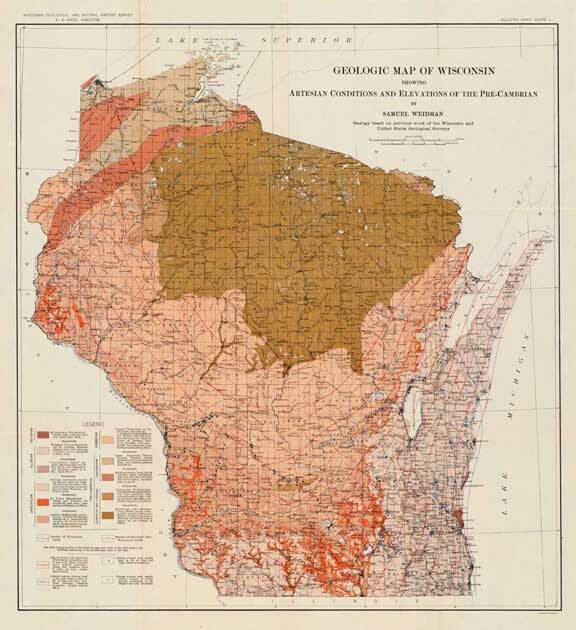 Perhaps the most significant change to this map was the expansion of the Devonian in eastern Wisconsin. This version remained virtually unchanged until 1982. 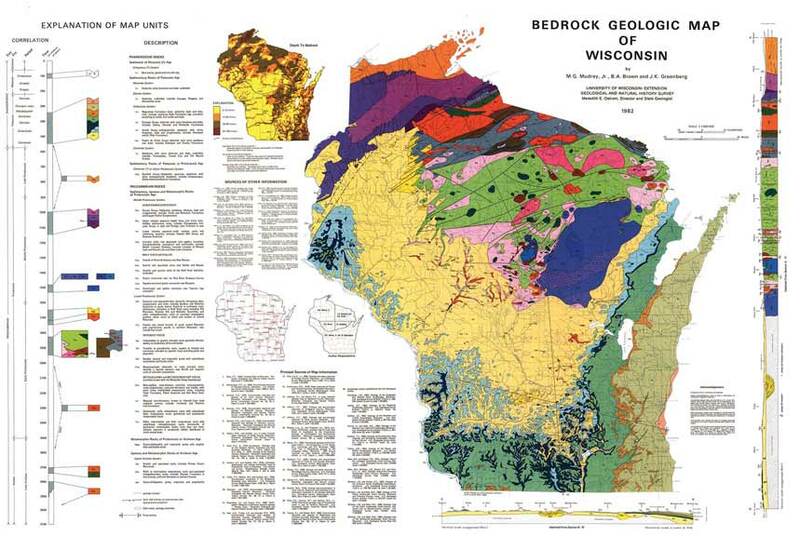 The current state bedrock map was produced in response to growing interest in the Precambrian following discovery of massive sulfide deposits in the 1970s. 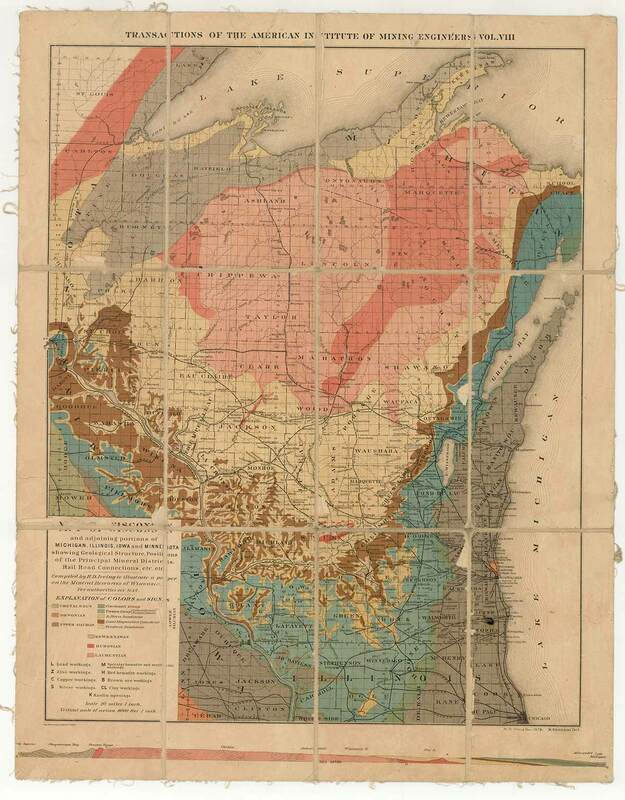 This map is the first to emphasize detail in the Precambrian.